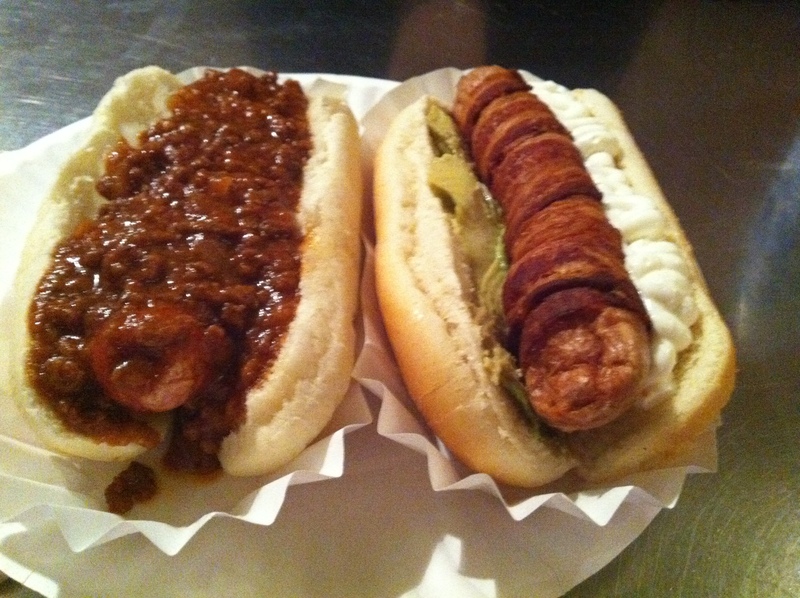 Anthony Bourdain, you were right – CRIF DOGS are a MUST! I’ve sat at home on a few Sunday afternoons and lost myself in the Food Network. A few weeks ago a new show from Anthony Bourdain was on called The Layover. In a nut shell on this show he is stuck in a place for 48 hours and he tells you where you should eat and drink. I never thought I would actually have a chance to live this particular show, but during my visit with Danielle, Collin and Finn a few weeks ago, I did just that. 11:30 pm Friday May 11th, Manhattan Lower East Side – Danielle and Heather, buzzed from a night of beer, drag queens and darts enter Crif Dogs. The Menu has everything food that you can ever imagine or not having on a hot dog. I was sceptical since I’ve had my share of street meat after being out drinking in down town Toronto but this was NOTHING LIKE THAT. 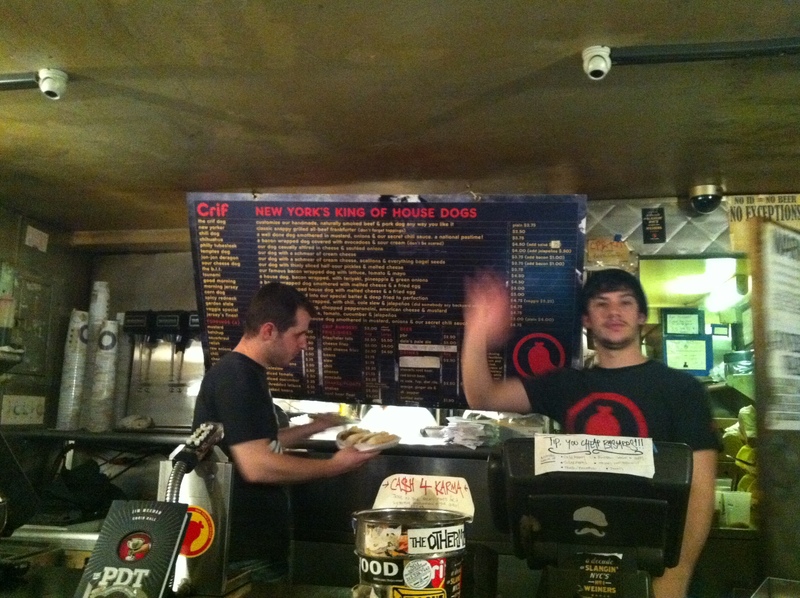 I decided to have a New York Chilly-Dog, sounds like heartburn city I know but it was anything but. Danielle went with a Chihuahua, a bacon wrapped dog covered in avocado and sour cream. We washed them down with a cold RBR, a perfect pairing. 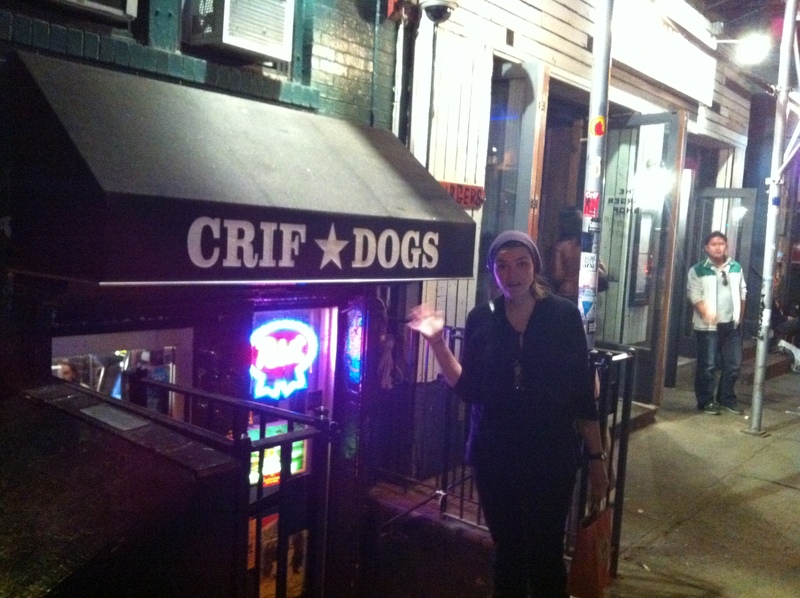 Crif Dogs is in the basement on a busy down town side street, the place was packed wall to wall with a line up out the door to get into elusive little club on the other side of the wall, where you also can only eat hot dogs paired with fancy cocktails. We ordered our dogs grabbed a seat and ate to our heart content. 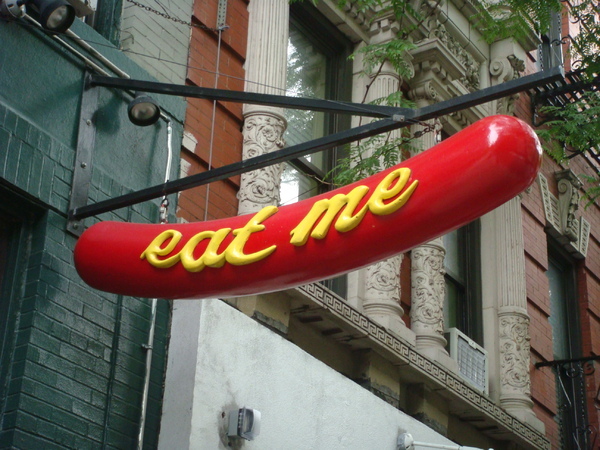 My New York Chilly-Dog was excellent, it actually melted in my mouth. Scarpetta – Voted #1 Luxe restaurant by NOW, gets my vote! Anthony Bourdain is almost always right, and this one looks like no exception. Are those dogs deep-fried? They look similar to the ones at Rutt’s Hut in Clifton, NJ. It looks like you found heaven in a 25-feet by 8-feet piece of real estate. Outstanding.